Billed as a list which depicts “the smartest and savviest bloggers in Higher Education” the Dean’s list is an annual compilation of Educational Technology blogs from around the world. 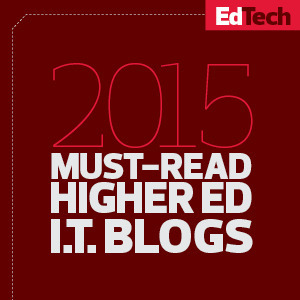 The 2015 list features many well known and respected blogs and we’re chuffed to be included, thank you EdTech Higher Ed! Here’s to another year of thought provoking posts and ponderments from the ET Team!